Samsung has legions of loyal fans, and for good reason — their Galaxy S lineup ticks so many boxes that it would be a downgrade to switch to any other phone. Though if you're still rocking an older model like the Galaxy S7 Edge, the all-new Galaxy S9 can tick all the same boxes plus a few more. But is it worth the money to upgrade at this point? That's actually a tougher call than you might think. These days, all of Samsung's flagship phones are "Edge" models, so your Galaxy S7 Edge is very similar in design to even the latest and greatest. If you're looking for a new model that's most comparable to your existing device, you should have no problem sliding right in to a Galaxy S9 (the S9+ is a decent amount bigger). As such, we'll compare these two devices below to help you decide if it's time to upgrade. Let me start with a pretty obvious disclaimer: Better specs don't always translate into better real-world performance. That said, these two phones are running similar software and they're manufactured by the same OEM, so if there was ever a time to look at specs in a vacuum, it's now. Surprisingly, the S7 Edge holds up nicely, even winning in a couple areas — but, of course, the S9 wins out overall. 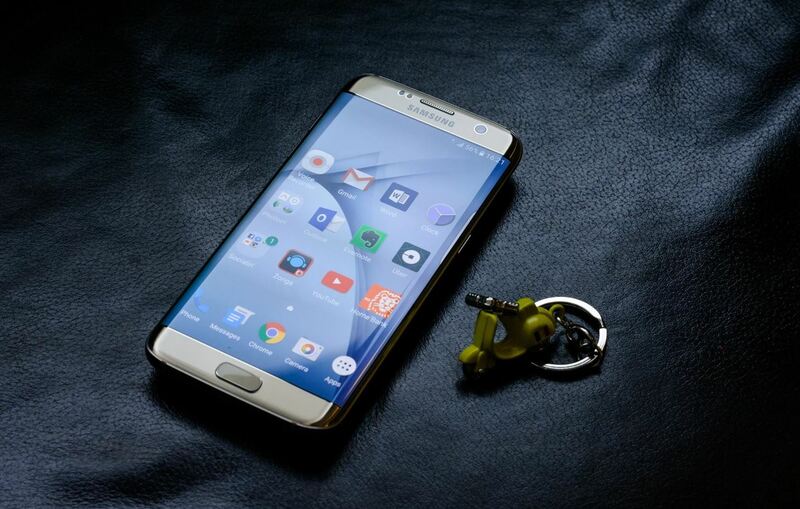 When Samsung released the Galaxy S6 Edge, it was a radical departure from their past design stylings. Expectedly, there were some kinks that needed to be worked out after that first overhaul, and the S7 Edge addressed them all. To this day, the seamless borders between metal and glass that were implemented along with the S7 Edge are still Samsung's primary design direction — in other words, you won't feel much of a difference in your hand if you upgrade to the Galaxy S9. 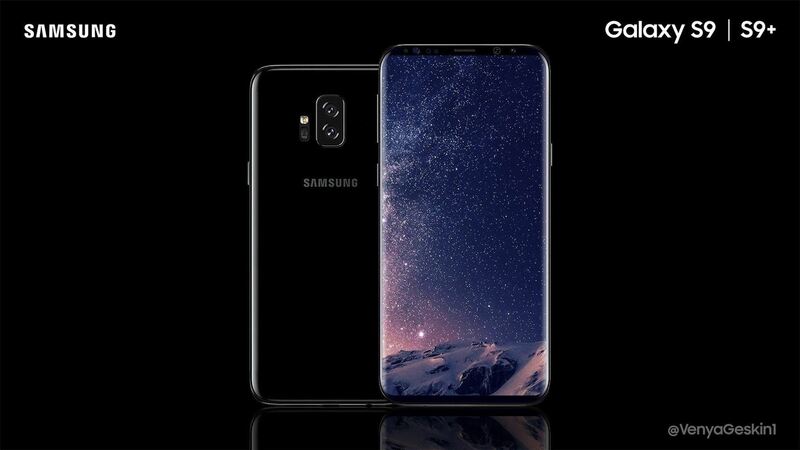 The S9 and S7 Edge are almost identical in overall size, and there's been no upgrade in RAM amount, rear camera resolution, water resistance rating, or charging and connectivity. In fact, the S7 Edge even has a bigger battery than the S9, which might be a harder pill to swallow when you consider that the S9 will cost you $20 more than your S7 Edge did in 2016. Remember how much of an upgrade your S7 Edge's screen was when compared to your last flat-faced phone? Well, that's the exact same feeling you'll get with the S9 — even after owning the S7 Edge. Samsung's new Infinity Displays are all but borderless, and their new 18.5:9 aspect ratio means the screen stretches from a few millimeters away from the top bezel almost all the way down to the phone's "chin." Other areas where you'll notice the upgrade are processing power, camera performance, and the base software. The S9 is rocking a Snapdragon 845 SoC, which is a huge upgrade over the S7 Edge's 820 (actually 3 generations when you count the 821). The camera is mostly an iterative update, though it has an industry-first feature called Variable Aperture that could be a game-changer. And since the S9 runs Android Oreo, you'll get all the latest and greatest software features. Finally, the S9 actually has stereo speakers, so if you listen to a lot of music or watch movies on your phone, it will provide a more immersive experience than your S7 Edge is capable of offering. My experience with Samsung phones has always been this: They're great when you take them out of the box, but performance slowly starts to bog down over the subsequent months. This is the reason I traded in my Galaxy S7 a year ago — but hey, I'm a phone-ophile, so I admittedly upgrade far more frequently than I should. With that in mind, though, I personally think that now is the perfect time to jump ship from your trusty ol' S7 Edge. Samsung has prioritized improving software performance over the past couple years, so if you're experiencing the dreaded TouchWiz slowdown, the S9 will obviously take that away instantly, but it should also minimize its effects as the phone starts to age. One last thing to take into consideration is the home button: Samsung's 2018 models use on-screen navigation keys. This provides a more consistent experience when using the phone (it's all taps, no mechanical clicks needed), but the fingerprint sensor has now been moved to the back. Placement on the S9 is much better than it was on the S8, plus there's a new touchless unlocking method, but it might take some getting used to if you're a long-time Galaxy owner. Which way are you leaning after reading up on all the specs? Share your thoughts in the comment section below — it might help the next reader get off the fence! News: Should You Upgrade to a Galaxy S9 from Your Note 8? News: Should You Upgrade to the Galaxy S9 from Your S8? Love my S7 Edge, do not think there is enough upgrades to the S9 to convert. Will wait until the next generation. Samsung S series is the bomb, best phones ever.